You can see list of our HB 725 - Microtek vs Zelio - Luminous below, perform Side-by-Side comparison. If you need further help, do have a look at Conzumr Guides and Tips. Alternatively you can view all UPS & Inverter to choose your own favourites. 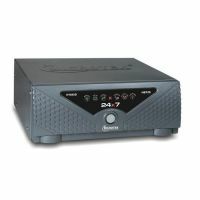 Micro Controller/ DSC Based Gen-Next UPS 24X7are based on Hybrid Technology which is a combination of Digital and Sinewave Technologies for Better Performance and High Reliability. The Hybrid Technology used ensures noiseless performance, Quick Charging, More Load, Longer Battery Life and Longer Backups. 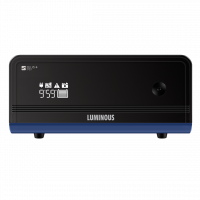 To Recieve updates and possible rewards for Luminous Luminous Zelio 1700 Sine Wave Home UPS please sign in. To Recieve updates and possible rewards for UPS & Inverter please sign in.